Many people are going bonkers for the iPad. It’s a device that has definitely changed the mobile computing industry. While Apple released the iPad earlier this year, many other manufacturers are planning on releasing their own version pretty soon. The question is, should you buy one? While some laptop stands work really well, others are definitely more problematic. This is one of the reasons why making your own is a good idea. You’ll save money and end up with something that will work for you. 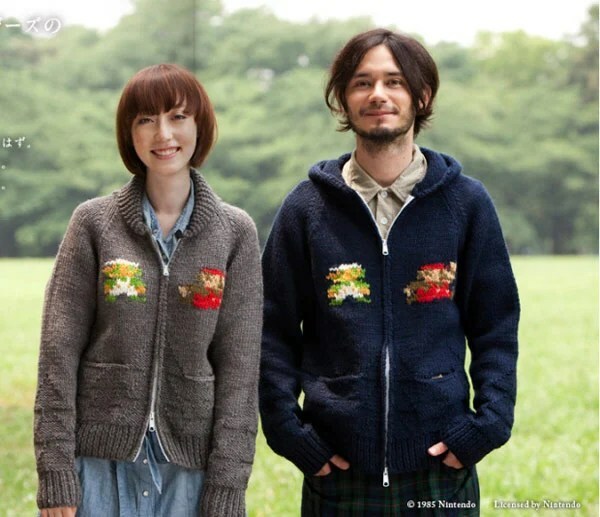 These aren’t just any kind of sweaters, they are official Super Mario sweaters and they come with the blessing of Nintendo! Nope, these aren’t available on Etsy, but only in Japan and you’ll never guess the price. I laughed out loud when I saw this image. Come on, isn’t it hilarious? 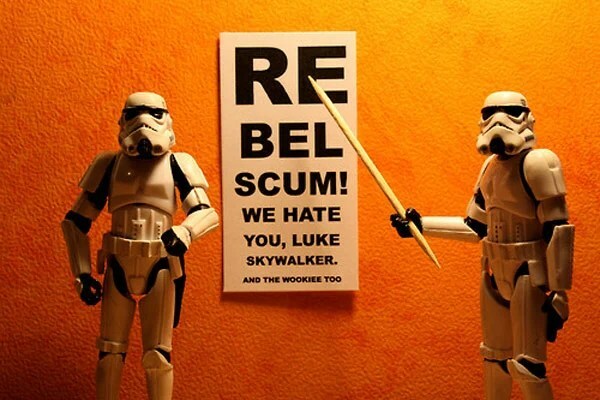 Two stormtroopers giving you an eye exam, making sure you know exactly how they feel! 00:03:24: @thecajunboy They always do that if you’re not there to chase them off. 00:04:05: Had a lot of fun with my students. Makes a difference if you work a lot of hours. 13:20:09: Sunday. Nice and relaxing. Slept in, gonna walk Spike. Take it easy. I actually have a student named Sunday. 13:20:55: The little girl named Galaxy takes more time getting used to. The same goes for her brother Cosmos. 14:24:17: Getting a coffee siphon + alcohol burner next week. Will brew my own cup of expensive coffee at home. Fave: Blue mountains. 14:25:43: It’s from Tiamo Japan. 14:27:08: It will take about 3-6 weeks until I start saving money on coffee by brewing it myself and not going to coffee shops. 14:54:28: It’s going to rain. The sky is really dark. 14:59:54: For some reason, Honeybunny Funnybunny makes me think of my wife. 15:01:17: My small green backpack is bursting at the seams since I started to take my camera everywhere. Time to use the Oakley Kitchen Sink again. 15:56:55: Started carrying my D200 on Wednesday again. Uploading daily pics as we speak. 15:57:55: It’s been about 6 months since I stopped doing that. I’ll be taking daily pics again. 17:09:47: Ditto Monkey! I had to search my blog/tweets w Google to find it. 21:31:36: Ok, finished digging through my archives. Cheated a bit on the dates, but all in all, I’m pretty happy w the photos. 21:32:38: BTW, sorry for that post overflow. 22:12:46: pork+cucumber+fresh coconut. Pretty good. 23:37:24: Took my MTB out to walk Spike to make him run. Worked out well. I even had my D200 to take some night pics. The pilot episode of White Collar was most definitely slick and smart, as well as charming, as Matt Bormer will charm the pants off anyone he meets as his suave alter ego Neal Caffrey. This show most definitely fits in the USA Network’s slew of shows, which include Burn Notice and Royal Pains. It has good pacing and interesting chemistry between Matt Bormer and Tim DeKay, something that isn’t easy to fake. They work well on the screen, there is no denying this. Basically, Dekay’s Burke is a white collar specialist who put Bormer’s Caffrey away a few years ago. In order to reduce his sentence a bit further, after having escaped a super max jail, Caffrey offers to help Burke to catch the illusive Dutchman, a criminal that Burke has also been chasing for a few years. This setup kind of reminds me of Spielberg’s Catch Me If You Can as well as The Sting with Redford and Newman. What’s also interesting, is that the guys don’t just keep this professional. They also involve their personal lives. Burke needs help to make his hot wife Elizabeth, played by Tiffani Thiessen, happy while Caffrey is searching for his wife that just vanished. All in all, a great show with good actors. I recommend it. Weeds is an American satirical comedy television series. Marie-Louise Parker plays a widowed housewife named Nancy Botwin from an affluent California suburb who becomes an upper-middle-class marijuana dealer to make ends meet. Things started slowly, with Nancy just dealing a bit of weed on the side. It rapidly became more serious. She went from being a simple dealer, to a grower, to a distributor. Two season ago, she hooked up with Guillermo, a serious Narco trafficker in charge of a part of LA for a Mexican drug cartel. In the last season, she became involved with a drug dealer named Reyes, who’s the boss of a family.